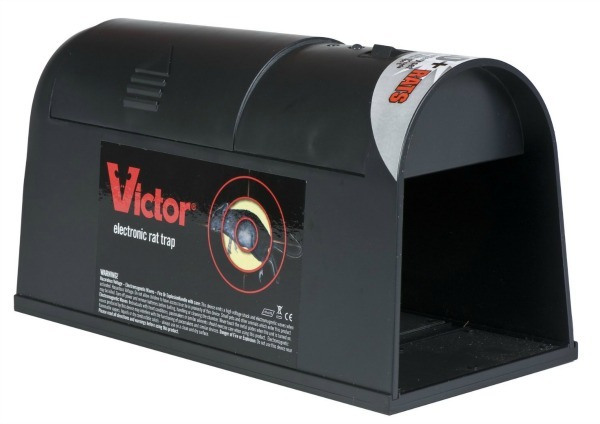 Victor Electronic Rat Trap Review - The Perfect Trap Choice? 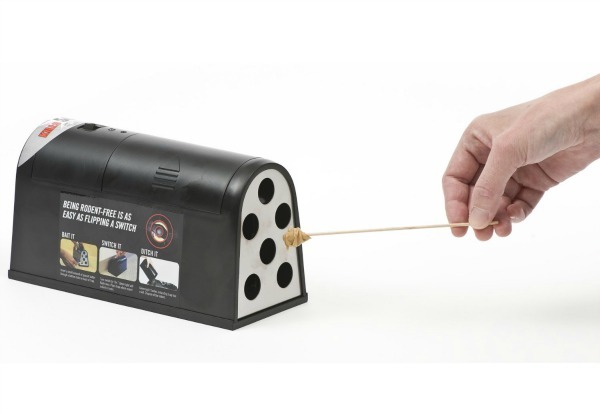 A Victor electronic rat trap may sound intimidating at first, but don't let the name fool you. The trap is safe, easy to use and very effective for trapping rats, mice and other similar sized rodents. There's countless reasons why you don't want to share your home with rats. They can carry disease, they can chew into livestock feed and contaminate the food with urine, they can chew through the wiring inside your home and potentially cause a house fire......the list goes on and on. So, what can you do if you realize you're sharing your home with an unwanted visitor? First, figure out how the rats are entering your home and seal off the entrance holes using metal flashing, mortar or a similar substance that a rat can not chew through. Remember, a rat can enter your home through a hole that's the size of a quarter, so you'll want to make sure you do a thorough inspection. Also, don't use caulk to fill the holes because the rats will just chew threw it. You need to use metal flashing or mortar to fill the holes. Second, once you've sealed off all entrance points, the next step is to trap the rats. Since repellents, sonic devices and other similar contraptions simply don't work, trapping the rats is the most effective way to remove them from your home. Unfortunately, snap traps made for rats are large, powerful and intimidating. Plus, once you successfully trap the rat, you'll have to remove the rat from the trap or throw the whole trap away. To make things easier, Victor has produced an innovative trap that uses electricity powered by four "C" batteries to deliver enough power to safety and effectively kill a rat, mouse and even a squirrel. Victor Electronic Rat Trap - How Does It Work? The Victor electronic rat trap works by using small plates inside the trap. Once the rat enters the trap and steps on the plates, it completes a circuit and kills the rat. With a 90 percent kill rate, the trap is very effective. Plus, once the trap has been activated, a green light flashes on top of the trap letting you know about your catch. 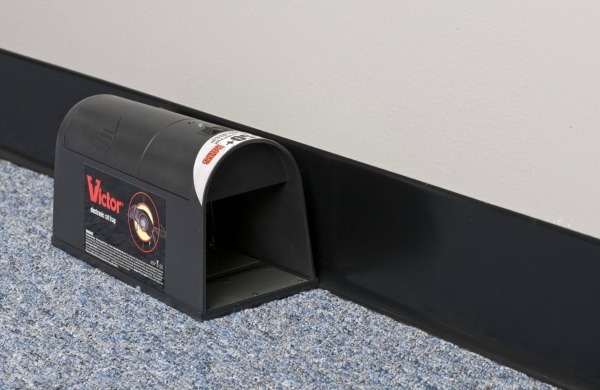 Unlike snap traps that require you to pry the expired rat from the trap, the electronic trap allows you to simply dump the dead rat into the garbage without touching it or even looking at it. Setting the Victor electronic rat trap is very easy. First, find a spot where the rats have been active. Look for indicators such as fresh chew marks, rat droppings or other signs that rats have been frequenting the area. Remember, rats do not like to travel out in the open. They run along walls, behind objects and anything else that will conceal them. So, when you set the trap do not set it out in the middle of the room because you won't catch anything. Set the trap along a wall in a sheltered place where a rat will feel comfortable. Since rats are very cautious and can become trap shy, bait the trap and set it out for about 2 days before you turn it on. Yes, the rats will be able to eat the bait without getting shocked, but if you have more than one rat in your house it allows the rats to see the trap is not harmful, they can smell other rats that have been inside the trap and they do not associate the trap with being deadly. Then, after a couple of days of giving the rats a free meal, turn on the trap by flicking the switch and bingo......you're trapping rats. Why Is The Trap Not Going Off? Is some circumstances where the climate is very dry, the rats may be able to enter the trap and step on the metal plates without setting off the trap. Although this is very rare, it's happens because the rats feet are dry and they're not good enough conductors to complete the circuit. To solve this problem simply take an old rag and dampen it with water. Lay the damp rag or towel flat in front of the trap so the rats step on the wet rag as they enter the trap. This puts a small amount of moisture on the rats feet. Since water is an excellent conductor of electricity, this little trick virtually eliminates misfires. In most cases you won't have to make this "welcome mat" for the rats to step on but it's a great tactic if you find the rats are entering your trap without setting it off. Also, since the trap uses four "C" batteries, it's important to make sure the batteries are good so the trap can deliver sufficient electricity. The manufacturer states the trap can kill up to 50 rats on a single set of batteries, however, depending on the temperature and duration the trap is activated, 10-20 rats per set of batteries is probably more realistic. Baiting the trap is really easy. Just use a Q tip or toothpick type applicator to apply some peanut butter to the back of the trap on the inside. Although peanut butter alone will work, I like to mix some bacon bits into the peanut butter for an irresistible snack. Plus, you can sprinkle a couple of bacon bits in front of the trap to make it even more appealing. If you have rats inside your home, garage or basement, the Victor electronic rat trap is a great investment. Although they cost more than a conventional snap trap, they're easier to set, it's reusable and you can quickly discard the rat without having to touch it or even look at it. Remember, since the trap is an electronic device it's not intended for outdoor use. Also, with any trap you should use caution around children and pets.